Unlike European trains, which are known for comfort and punctuality, Amtrak doesn’t have the same allure as air travel. Still, there are some domestic routes where the train competes (or even comes out ahead) in terms of time and cost. TPG Contributor Nick Ewen took a deeper look at these routes to see when the train is the better option. Read on to see what he found. Award travel enthusiasts tend to focus on airline miles and hotel points, but as many of you know, there are other aspects of the points and miles game that deserve your attention. A few weeks ago I wrote a detailed review of the Amtrak Guest Rewards Mastercard from Chase, and it got me thinking: are there routes in the U.S. where taking the train makes more sense than flying? After crunching some numbers I found that the answer is a resounding yes. In this post I’ll look at these routes from the perspective of both paid and award tickets, and explain why I think each one is better by rail than by wing. I then looked at the average cost of a ticket for all trains & flights on the selected routes during the times above. I also considered the average length of time for all trips. Finally, I evaluated the points/miles earned for each trip (with no status accounted for on either option) and how close that would get you to a free ticket. In each case, I looked only at one-way trips, since adding a return trip increased the complexity enormously without adding much useful data. To try and make the comparison objective, I included on-time performance for Amtrak (using their online tool) as well as the given airline routes (using flightstats.com). I also tried to factor in the time cost of traveling to the airport, checking in, security, and boarding, so each chart below has a row for these estimates. You may live in an area where the airport is more convenient than the central train station, but for the sake of consistency, I assumed that each trip (regardless of the mode of transportation) was taken to the downtown portion of the city rather than a surrounding suburb or specific neighborhood. I recognize that this analysis is limited, but I think the results shed light on specific U.S. routes where taking the train is more convenient than flying. 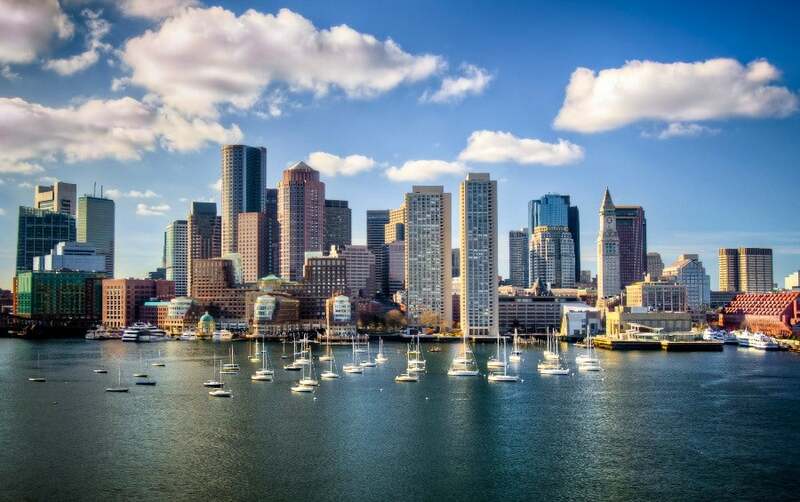 Your trip from New York to Boston could be much more pleasant on Amtrak. As you can see, the train has many advantages. The first is cost, as the average one-way ticket costs just 55% of a one-way flight, and the typical redemption costs less than one third of a one-way flight. 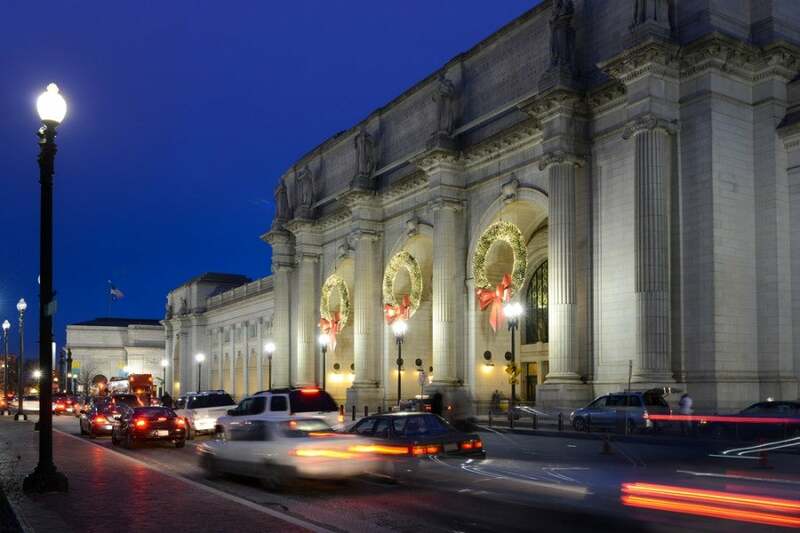 In addition, with all three major metropolitan airports being a long way from Manhattan, the train is more convenient. Finally, based on the average points or miles you would earn, your Amtrak trip gives you a free one-way after less than 18 paid trips (roughly a 5.5% return), while flying only offer a 4% return. This route is also one with complimentary Wi-Fi, meaning that the added time in transit = more productivity. Again, Amtrak is a clear winner here in almost all of the categories. Both the Acela and Northeast Regional trains offer free wi-fi, helping you get work done on the trip without paying for it in the air. The paid ticket price is actually closer than for the NY-Boston route, but that’s mostly due to the exorbitant prices charged on the Acela trains running on this route. Many of the trains in the specified time periods actually cost $259 for a one-way ticket! If you only consider regional trains, the average price drops by over a third (to $99.83). While this does increase the average total travel time to 3 hours 53 minutes and the number of one-ways needed for a free ticket to 20, it still pays to use Amtrak on this route. The difference in redemption levels is the same as in the previous example. 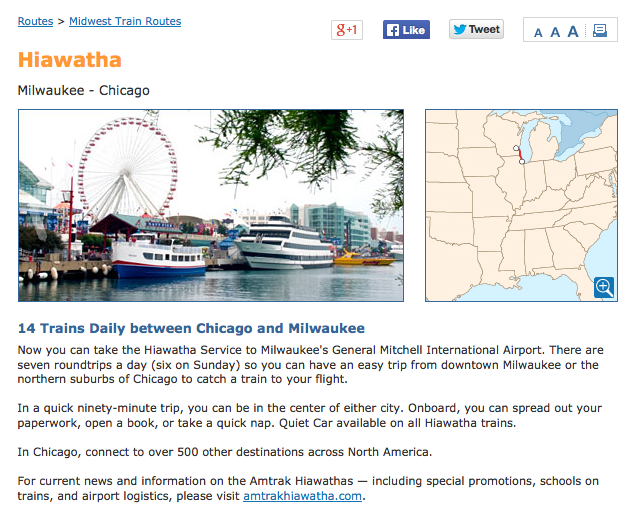 Amtrak’s Hiawatha line connects Chicago and Milwaukee with multiple trains daily. As one of Amtrak’s special routes, the Hiawatha line costs only 1,500 Guest Rewards points for a one-way ticket. Since paid tickets are generally so inexpensive, the return on a paid ticket is low, but the overall price difference is substantial, especially for last-minute tickets. While prices on the Hiawatha route were always $24 for “Value” coach and $25 for “Flexible” coach, some one-way flights were almost $600 apiece! Considering the comparable travel times (I may have even been generous by only adding 30 minutes of airport travel time), the downright abysmal on-time performance of flights from O’Hare to Milwaukee, and free Wi-Fi on all Hiawatha trains, Amtrak is the obvious choice between Chicago and Milwaukee. 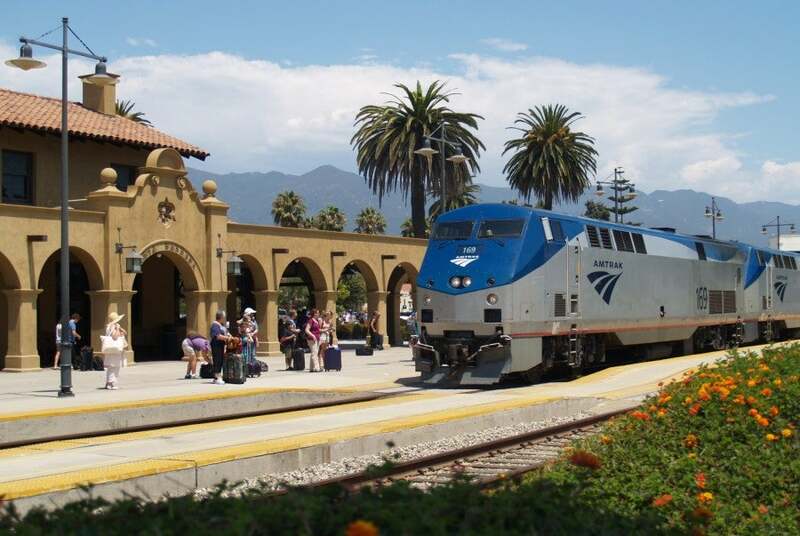 A short trip on the Pacific Surfliner can whisk you from LA to San Diego. This comparison is much closer than the previous ones, but given Southern California’s penchant for brutal traffic, I’d again give the nod here to Amtrak. Like the Chicago-Milwaukee route, the prices are very consistent regardless of the booking window, and again you have free Wi-Fi en route. While the length of the trip leaves a bit to be desired, it’s still a great option to avoid travel to the airport, and at just 1,500 points for a one-way award, you’re getting more than 8 free train tickets for the cost of one flight. Another perk? A good section of the trip hugs the Pacific Coastline, giving you a scenic trip that wouldn’t be possible from the air. With free Wi-Fi and beautiful Pacific Northwest scenery, the Amtrak Cascades route can be a great way to avoid the hassle of flying. This one isn’t necessarily a slam dunk, but hear me out. For starters, the average difference in cost is significant, but it’s more noticeable for tickets within 2-3 weeks of departure. Since Alaska flies this route at least once an hour (sometimes every 30 minutes) and Delta recently added several daily flights, prices drop to $72.10 if you can plan ahead. However, last minute prices approach $200, while Amtrak tickets don’t jump nearly that high. Secondly, this is another very scenic route, and being able to relax on a train without worrying about security and traveling to and from the airport can make this a much more pleasant journey. Third, this is another of Amtrak’s special routes, meaning a one-way ticket onlys set you back 1,500 points. Finally, this route also has free Wi-Fi. 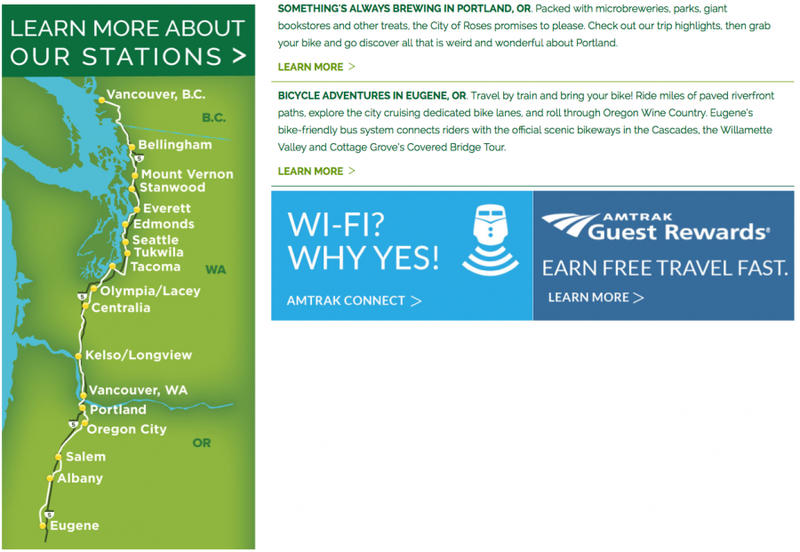 Many special routes on Amtrak have limited timetables, but offer a nice alternative to flying. Fort Worth, TX – Oklahoma City (Heartland Flyer): This route takes passengers straight north from Fort Worth to Oklahoma City, and one-way flights for the dates I checked range from $87 – $137. The flight is just under an hour and runs frequently throughout the day, but DFW isn’t the most convenient of airports. The daily Heartland Flyer is just $28 – $39, and while it does take close to 4 hours, the 5:25 pm departure would allow you to get a full day of work in before hitting the road. The return train leaves at 8:25 am and arrives around lunchtime, giving you an entire afternoon at home/in the office. With just one train a day, this may not fit your specific plans, but it could be a good option. Chicago – Ann Arbor/Detroit (Wolverine): Any University of Michigan students/alums may be familiar with this route. The Wolverine generally runs three times a day in each direction. With a morning, noon, and evening departure (in both directions), the timing allows flexibility with classes or business meetings. With prices as low as $34 for a one-way ticket (flights start around $100 in advance but get close to $200 or higher closer to departure), this too could be a great value. San Jose – San Francisco/Oakland – Sacramento (Capital Corridor): While this route does have multiple daily trains, it actually hits four large cities, so rather than try to break down the math, I wanted to include it here. The train from San Jose to Sacramento takes slightly over 3 hours and can cost as little as $40 one-way. This is also a train that has free Wi-Fi, allowing you to get work done as you zip through the Northern California countryside. 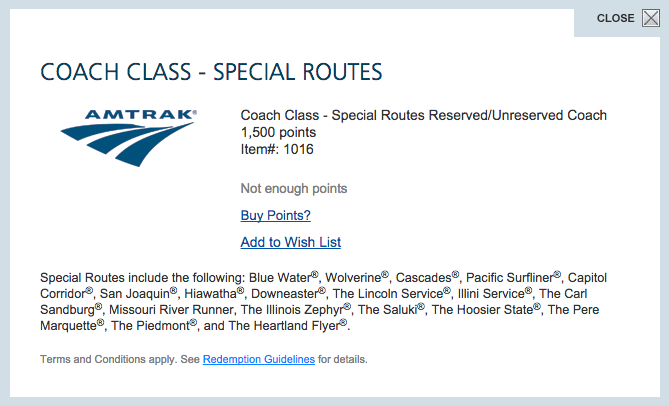 Amtrak Guest Rewards has a simple redemption program, but you can get a lot of value out of it. As I mentioned before, there are many factors that come into play when deciding how to travel, so figure out what works best for you. 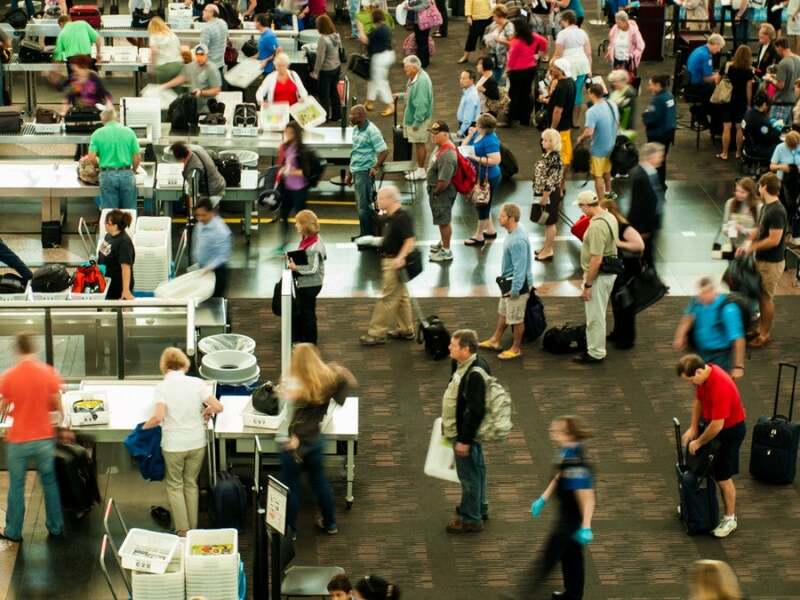 If you live close to the airport or have elite airline status, flying might be more convenient regardless of cost. I’d love to hear from our experienced Amtrak riders out there. Are there other routes where the train beats flying, or other factors you think weren’t taken into account? Please share your thoughts in the comments section below!